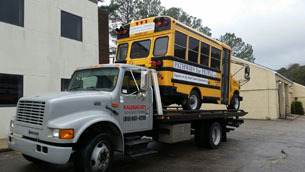 Here at Raleigh Cary Towing we strive to help our customers in whatever areas they need assistance. From our 24 HOUR TOWING services to our speedy lockout arrival, we provide the very BEST PRICES in town. Our services are not restricted to the Triangle however, as we are more than happy to provide rate quotes on services throughout North Carolina and the Southeast. Best Towing Service in Raleigh!